Ivana Kuriackova and Raphael Montoya made the perfect start to their European season after an exciting and dramatic day of racing in Quarteira. In a tense junior women’s race, Kuriackova’s strong running was enough to seal victory – although only 16 seconds separated the podium. Roared on by the home crowd it was the large Portuguese contingent who made the strongest start – with pre-race favourites Luisa Condeco and Melanie Santos flanked by Andreia Ferrum and Ana Ramos on exiting the water with Ellie Walton (GBR) and Maya Kingma (NED) in amongst the leading swimmers. This leading pack maintained the pace going onto the bikes but were joined by Kuriackova (SVK) and Emma Sharkey (IRL) in a front pack of ten. On exiting T2 there was nothing to separate this leading pack and it would be left to the run to determine the winner. This is where Kuriackova showed her strength. She attacked Condeco and Ramon, who fought bravely to stick with the Slovak athlete but she was too powerful, eventually passing the two athletes as she surged towards victory. Kuriackova finished in first place, six seconds ahead of Condeco who equalled her finish here last year. 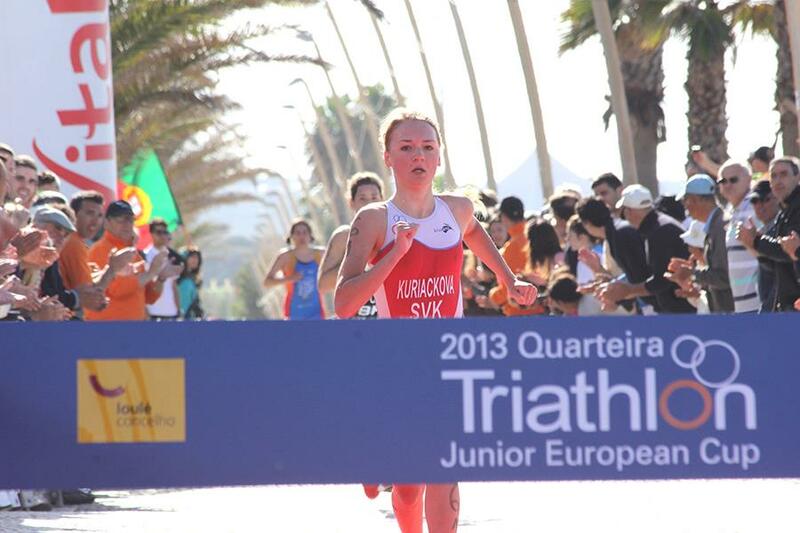 Laura Gomez Ramon secured a first ever Junior European Cup podium finish with third place. In the Junior Men’s race Raphael Montoya (FRA) won an equally absorbing contest, securing victory by the narrowest of margins. In the end, less than a minute separated the top ten finishers but it was Montoya who took the title. The early pace setter was Jorgen Gundersen (NOR) who, having emerged first out of the water, tried to remain ahead of the pack on the bikes. He was eventually caught and engulfed by a chasing pack of twenty and it was this group who headed into T2. It took until the second lap of the run for the contenders to emerge as a group of four broke away together. 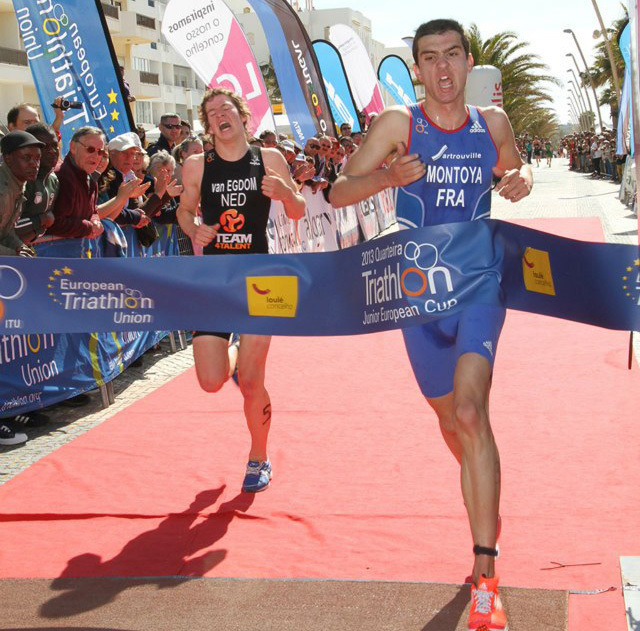 Montoya (FRA), Doherty (IRL), Serrat (ESP) and Van Egdom (NED) could not be separated going into the final lap and the crowd anticipated something special. In a sprint finish, Montoya just edged out Van Egdom by less than a metre and it was Doherty who secured the final podium position. Are you ready for Kazan? ETU.TRIATHLON.ORG The European Triathlon Union (ETU) is the European governing body for the Olympic sport of Triathlon and for all related multisport, and is recognized by the International Triathlon Union (ITU) as the Continental Confederation in Europe.